One of the hardest things about moving the tiny has been figuring out where to move it to. As I mentioned in my original post about moving out – I have no idea what the future will look like, or how a future version of our lives might fit back into the tiny house. That brought up the question of, well – should we sell it? To be honest, it’s an option that never quite felt possible. I know it’s just a house. A means to a meaningful life – something I have been so lucky to experience. But in the same breath, how could I let go of everything the tiny house has meant, and all of the connections I now have with it? We still have far more memories to make. Alternatively, we could keep the tiny house – but where? And what do we do with it while we get busy living in our regular size house in the ‘burbs? How do we ensure that the tiny keeps serving its purpose and doesn’t just become decrepit and neglected, wasting the resources we investing in the first place? Another equally difficult choice to puzzle out. Most of my friends didn’t think it was that hard. Why would I sell it when I could Air BnB it? I have to admit, the magnitude of the whole thing paralysed my brain for a while. All of the choices seemed so huge, requiring lots of work and emotional energy whichever way we went. Even the idea of renting it seemed too hard. Taking the first step towards a choice was the only option, to see how things played out. Luckily, I have been surrounded by incredible supporters and received many offers to put the tiny in a backyard, in a back paddock and even in someone’s driveway! 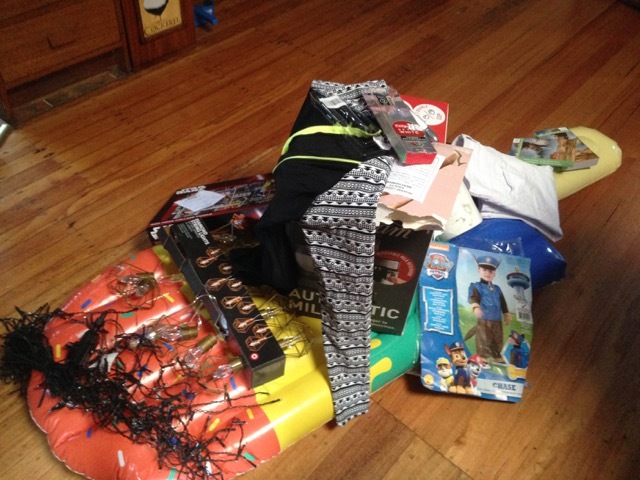 Thank you to everyone who has contacted me with such generosity. In the end, it’s a project that began a long time before I came along that has matched up so perfectly with my hopes for the tiny house, and this is the path we’re heading down. Friends of mine have a farm in Tanjil South, on the way to Walhalla, in Gippsland. It’s a family farm with a rich history and one that is now carving a path forward into a sustainable future. A long time family friend, Mick, has been working hard on the land for the past ten years (and more) to begin regenerating the 100 acres of farmland. He has visions of creating a ‘Botanic garden’ and an Indigenous food farm, in partnership with as many local groups as possible. His goal is to make the farm a triple bottom line sustainable business – one that is economically viable, environmentally positive and socially inclusive. 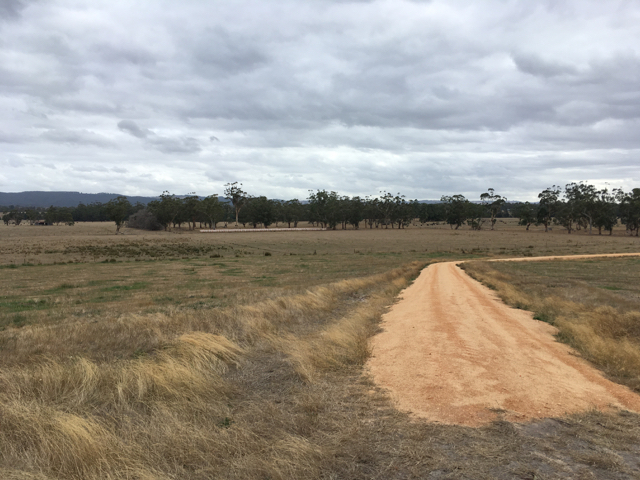 This involves the creation of wetlands and stocking native eel species, growing Indigenous food plants and reinvigorating the notion of ‘farming’ in Victoria. 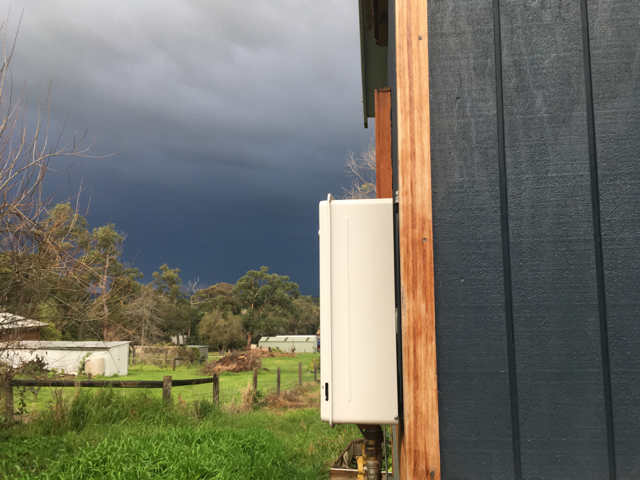 It’s an inspirational project and it seems like the perfect alignment of two destinies, a homeless tiny house and a farm that is calling new people to connect to the land. Taking the first step of visiting the farm, hearing about the project and understanding how (and if) we could actually get the tiny house to the farm made a big difference. Once I knew this was a fit for the tiny house, my brain could stop flailing desperately for a what and start focusing on the how. It’s still a very big project, but suddenly we have a destination and a path forward. It’s no coincidence that Ravenscroft Farm reminds me so much of the farm I grew up on. It’s beautiful in the way so much of Australia’s farmland is – steely, majestic and raw. It’s a new chapter for the tiny and it will be a new part of our lives, and I’m so excited to share it with you all, too. We will be making Tiny go Lightly available for rent on the farm, through Air Bnb and possibly other sites too. You will be able to experience the peace, beauty and self- sufficiency I love about the tiny house. You too, can be a part of the vision for this project and connect with a new kind of sustainability. We have a bit of work to do before the house will be available for staying in, but it feels so good to share this decision, finally. And now, only 8 days to go until we hit the road and make it happen. 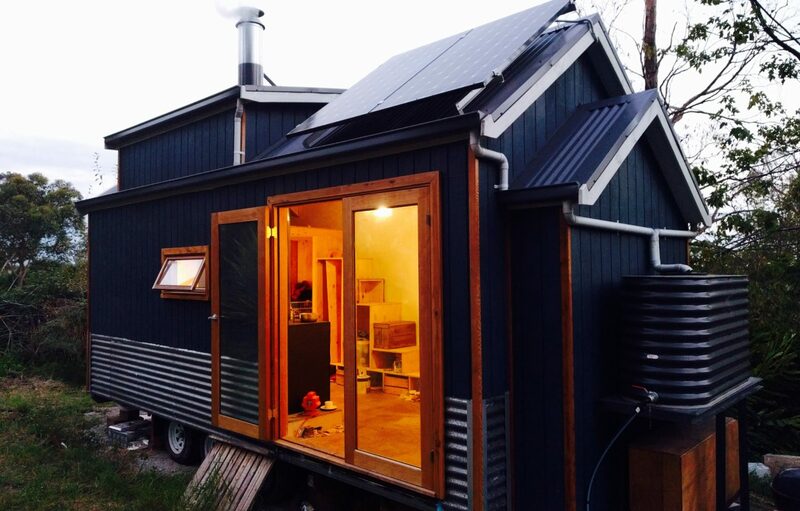 Finally, the tiny house's new destination is revealed - a sustainable farm in picturesque Gippsland. Read more about the farm and how you can visit. Moving day is swiftly approaching and so much to do before then, eeep! There was some debate about whether we’d just tow the tiny as is or whether it would safer to load the whole thing onto a truck. The tiny measures 4.1 metres from the ground, so getting it up onto another trailer was always going to be dubious. Last night we agreed that with a height limit even for tow trucks of 4.6 metres it’s just not going to happen. This girl is going to be rolling on her very own wheels. Which is what she was made to do! We lucked out in a totally unexpected way when we bought this house, by becoming next door neighbours with a friendly, generous and like minded family. Having a good relationship with your neighbours goes so much further than you ever really realise. Here’s just one example: we still don’t have half the things most people do when they own their own home - a lawn mower included. It was top of our shopping list by the time we moved in. Before we’d committed to buying our own mower, our neighbours chimed in and offered to lend us theirs. Anytime. And it was a genuine offer. So instead of a new mower, we’ve invested in community minded neighbours who want to minimise buying new things and maximise the use of them. We’ve found neighbours who trust us to share things that aren’t needed every day and who accept our home cooked dinners and neighbourly favours in return. We’ve made new friends and found a new community, right outside our own door. And I couldn’t feel luckier! Holy snap cakes! Is this what people call ‘bill shock’?! As someone who hasn’t had a utility bill for more than a few years, I can say with confidence that I was definitely shocked when I saw this. Is this why people ask me about living off grid so often?! Far out. I was mostly focused on the environmental benefits when I spoke about it, but I’m starting to understand the financial appeal more too. The thing that gets my goat most about these bills (electricity too) is the service charges. It frustrates me that there’s no huge benefit to being efficient with your resource consumption when service charges make up such a huge amount of the bill. We are charged $813.33 a year flat rate for sewage treatment, no questions asked. That seems like an awful lot for something that my bucket did for free for two years. I say this, not to diminish the importance of sanitary services like waste water treatment, or to be ungrateful. I get that services and infrastructure cost money. But it does boggle the brain a little that only 6% of this bill goes towards paying for our usage. Is this just me being naive? Or is it more naive to accept without question that this is just the way it has to be? I have to say, I’ve never missed pooing in a bucket as much as I do right now.